New Clinic Opening in Livonia! We are happy to announce the opening of a brand-new clinic in Livonia! Our newest clinic has 4,500 square feet of clinical space, including 16 individual therapy rooms and a spacious playroom to provide ample opportunities to enrich personal development and spark the joy of learning and growing. The Livonia clinic is equipped with some very special and unique features. 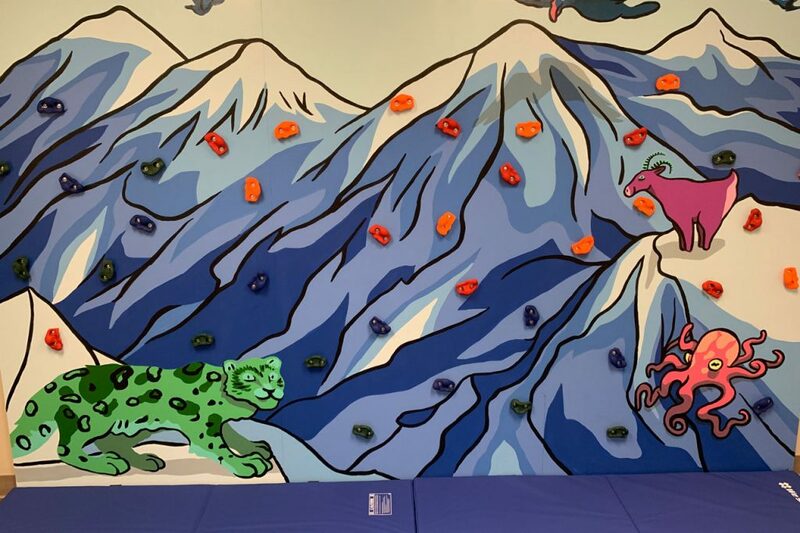 An interactive Lego wall that the children can build onto creates opportunities for constructive and imaginative play, and a rock-climbing wall, custom built by our facility development team, incorporates a mural designed and painted by one of our very talented staff members, John V.
All of our clinics are designed to deliver the same exceptional quality our clients have come to expect from Gateway. Our mission is to provide the highest quality therapy services to those in need, and we are very excited to be able to expand this commitment to the families of Livonia and surrounding communities. Be sure to check back often to our blog and follow us on social media to learn more about exciting developments and new updates from Gateway!